Writing is a cutthroat business. It’s no longer enough to provide “high-quality,” “actionable,” and “error-free” content. It’s because everything offering the same promises to clients. Therefore, you need to find a way to get your leg up against the competition so you can attract a specific set of clients for as long as you want. One of my calling cards as a freelance writer is providing small businesses with SEO-friendly content. A lot of writers are also offering the same promise to people, so being an SEO writer is nothing out of the ordinary. However, I approach SEO differently compared to other writers. I understand the value that SEO delivers to businesses. It’s an integral part of content marketing planning and ideation. Since small businesses want to maximize their marketing budget on tactics that produce the best results, providing them with SEO content is my way of helping them out. For this purpose, I use SEO writing tools to make my job much easier. Look, you can hire digital marketing companies to help build your organic traffic. For bigger businesses, that’s what I would suggest them to do. You search and find pages like this one from ReviewsXP for companies to hire. However, for smaller businesses, you can do it yourself with different tools. There’s no need for you to hire people to do the job for you. 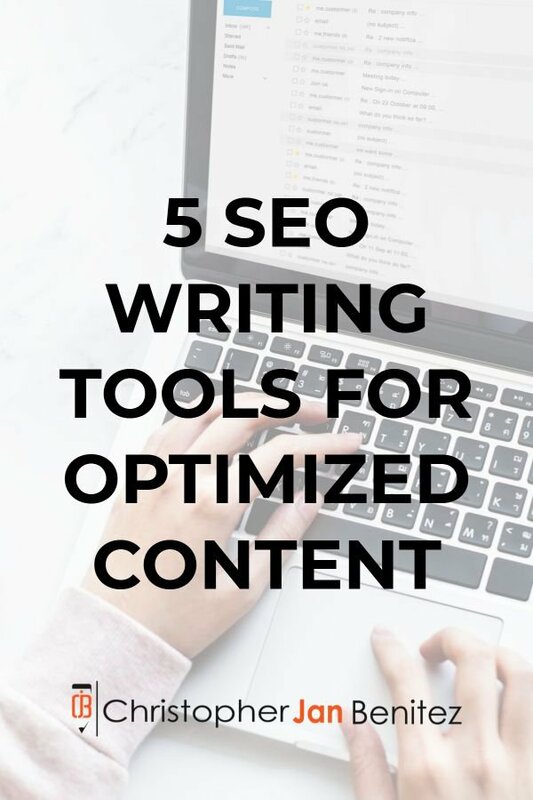 There are lots of excellent SEO writing tools out there but below are some of the best ones I’ve used thus far and are part of my content writing process. Must-use SEO writing tools to create content that ranks! 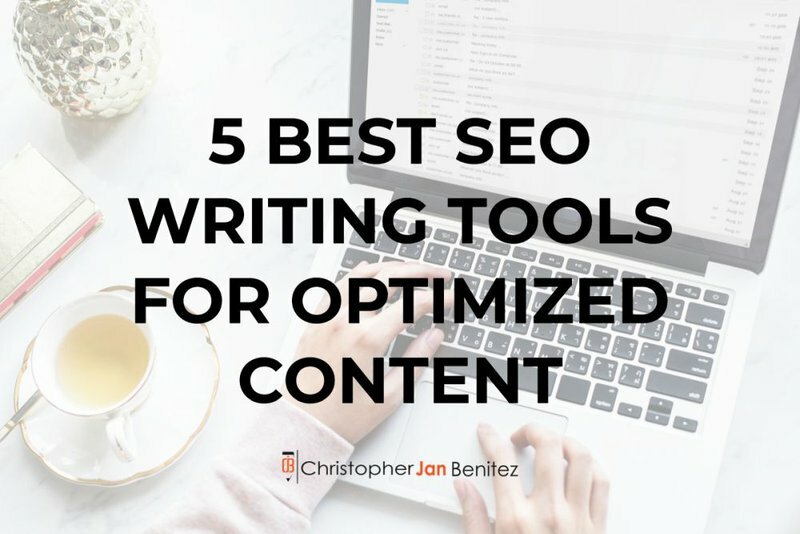 Are you using any of these SEO writing tools? Your target keyword is crucial to the success of your SEO content. It won’t rank on Google search if it’s not optimized for keywords with high search volume and low competition. Therefore, you need to find such keywords to help position your content to rank on the first page of search results of Google when people search for them. Using tools like Google Keyword Planner and Ubersuggest, while useful to some extent, falls short of providing you with more detailed information about a search phrase. In particular, both tools don’t show you how easy or difficult it is to rank for the keyword. To help you come up with low-hanging fruit keyword, use Keyword Revealer*. You can sign up for a free account and gain a limited number of searches per day. For now, it should be enough to help you determine the search volume and difficulty of the keyword. The thing I love about Keyword Revealer is how it takes into account the global search volume of a keyword. This is important if you want to target your audience all over the world. By optimizing your content using keywords with the most searches across all Google databases, you help people find your content much easier! Also, you can compute for a keyword’s difficult. The higher the score, the more difficult to rank for it. Therefore, you need to find a keyword with low competition to increase your chances of ranking on Google. When calculating for the keyword’s difficulty, it also shows you the trend of the keyword in terms of searches. Ideally, you want to choose a keyword that’s trending upward and not the other way around. You want to catch the keyword at the peak of its popularity so more people can see your content using Google search. Once you have chosen the main keyword for your content, you need to strategize how to write your content with SEO in mind. It’s no longer as simple as mentioning the keyword on the title, meta description, subheadings, and other parts of the article. There’s a good chance that all your competitors at this point are doing the same thing. Therefore, you need to do something else to help you stand out from the pack. SurferSEO affords you the opportunity to boost your SEO writing. Not only will you be optimizing your content for your keyword, but you also get insights on which on-page factors you need to prioritize in your content. Upon signing up for a free account, enter the keyword on the search bar so the tool can analyze the pages ranking for it on Google and determine the factors that need your utmost attention. Once the results pop up, you will see a graph that shows you the different factors that has a potential effect on SERPs such as keyword density, site speed, headings, meta tags, and more. In the graph above, you will see the graphical representation of the average number of words for every 10 results (or every page) of search results. The first page has an average of over 4,000 words. The graph trends downward as you move to the next 10 results, and so on. On the left of the screenshot are the different ranking factors. You will see some of the factors in green. It means that those factors bear the most relevance in the ranking of the pages. In the example above, you need to optimize your content based on the number of words, keyword density, and character count, among others. You need to choose the best factors to include in the graph to make it readable. At this point, the discrepancy between the average number of characters on the body of each post and the others are too wide. Thus, it renders the entire graph unreadable. SurferSEO helps you identify which factors to optimize on your post. The idea is to stick with the average figures of the first 10 results for the keyword. The tool helps you associate your post with the pages ranking on the first page. By sheer association, you increase your chances of ranking for your target keyword. Also, it prevents you from over-optimizing your content for factors that don’t bear any relevance in SERPs. In fact, SurferSEO works even better if you want to analyze your published posts in relation to other pages ranking for their respective keywords! When you’ve analyzed the keyword you want to optimize your content for, type in the URL of your page on the “Enter custom URL *” entry. This is whether or not your page is ranking for this keyword. Once you have added your post, click on the Audit button on the right to view a quick report of your page. Familiarize yourself with the most relevant factors in green for the keyword before running through the report. It shows you what you need to edit and improve to further optimize your content. Click the “Show details” button more information about the suggestion so you can make an informed decision instead of just implementing the changes. In hindsight, SurferSEO is very similar to SEMrush’s SEO Content Template (I’ve discussed this feature of SEMrush comprehensively in this post). It gives you the average figures of the relevant SEO factors to help you optimize your content without going overboard. However, what makes SurferSEO better is you can review the results before and after writing the content. Also, SurferSEO is free at the moment. It wouldn’t hurt you to sign up and try out the tool for yourself to see if it’s something you can use as part of your content workflow. To help you come up with topic ideas for your post, you need Buzzsumo. It’s a tool that Brian Dean uses to run the Skyscraper Technique. One of Buzzsumo’s primary uses is to help you find the most shared content about your search query or keyword. From there, you can use the most relevant pages to your topic from Buzzsumo and build a brand new and better content out of them. Buzzsumo’s Content Analyzer breaks down for you the pages with the most shares across the most relevant social platforms. Collect the pages with lots of shares (around 500 across all social platforms) and identify what makes them shareable. Do they supply lots of screenshots? Are they step-by-step guides that detail the exact process of doing something? Do they have rich media included in the post (infographics, audio podcast, video, etc.)? Once you’ve identified the variables that make the posts shareable, you need to create similar but much better content than them. For example, if the post features 100 tips about content marketing, then you need to feature at least 101 tricks. Or if one of the posts have a very valuable infographic , you might want to consider hiring a designer from Fiverr to create an even better version of the image content. While you may need help building some of the content, the point stands: you need to publish better content than the ones out there. It’s no longer enough to write SEO content that observes on-page factors to a tee. You need to go out of your way to provide additional value to your readers if you want your content to rank higher than the ones dominating the SERPs for your keyword. And Buzzsumo gives you a puncher’s chance to do so. Buzzsumo also lets you build valuable backlinks for your site, reach out to influencers on social media, and more. 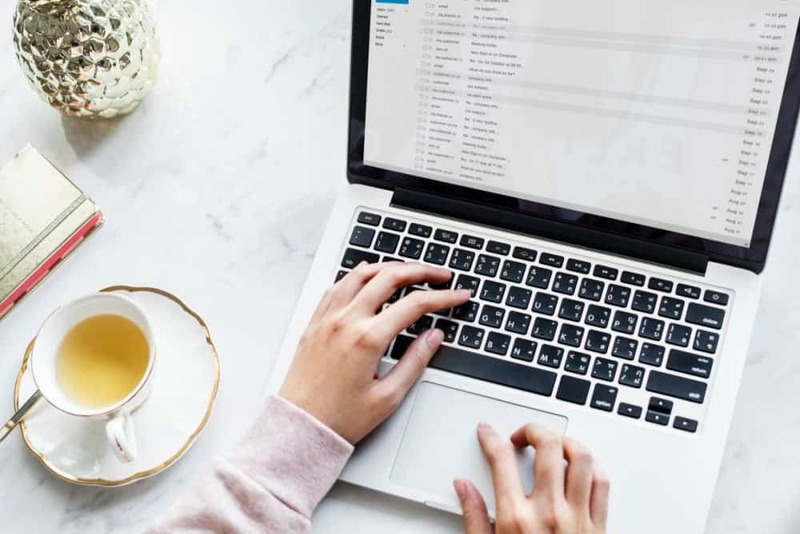 This is one of my favorite blogging tools and I’ve documented how I use the tools following the tips above in this must-read post. Writing for your WordPress site, you’re probably using Yoast SEO to measure the readability of the post and how optimized it is. I also use it on my sites and I think it’s a great tool to help you keep close check of your SEO efforts in your content. However, what if you want to write SEO content for your clients? Surely, you can’t write them on WordPress since they either don’t use a WordPress site or haven’t given you access to it yet. If that’s the case, how can you keep track of your SEO writing? This is where Webtexttool comes in. Similar to Yoast SEO, you can keep track of your content’s SEO score as you write it. This is perfect if you want to ensure the content’s SEO-friendliness before sending it to your clients for review. There’s also a WordPress plugin for the tool if you want to integrate it into your blog publishing workflow. To use it, you must first enter the main keyword of the content. You can enter supporting keywords and the domain where you will publish the content. After filling that out, you can write your content and the tool will automatically keep score of your SEO. The tool makes it easy for you to keep on course with your SEO effort by offering a checklist of factors you need to observe in your post. Again, keep in mind to avoid over-optimization – you don’t want to score high with your SEO just because. For best results, use the tool in conjunction with the data you gathered using SurferSEO. Webtexttool also analyzes the content from a reader’s standpoint. By analyzing the content, you get a low down of the text’s statistics, readability, credibility, sentiment, and others. It’s a cool way to ensure that your content is in line with what your target audience. Aside fro these features, Webtexttool also lets you conduct keyword research from within the tool, keep track of the post’s search ranking for its keyword once published, and many more! It’s the publisher’s dream tool of choice but for the purpose of this post, it is just as great to use for writing SEO content for your blog and your clients. Part of what makes content SEO-friendly is how grammatically and structurally correct it is. It doesn’t matter how useful your content is. Nobody wants to read incoherent content filled with basic error. And you won’t create clients if you keep publishing articles that aren’t optimized for humans to read. To help you clean up your text, run Grammarly*. The free tool lets you download the Chrome extension so you can edit the post as you write whenever the tool spots error. The free account lets you fix major errors, but for minor errors and suggestions to make your content much better, you need to subscribe for the premium plan. Grammarly Premium scores your content out of a 100. While striving to get a perfect score is ideal, you don’t have to. Personally, having a score of over 90 is good enough for me. Aside from detecting over 250 grammatical errors, it identifies plagiarism for you. Run the plagiarism checker to ensure that the post you’ve written doesn’t have identical blocks of text found on published pages. Search engines frowns on duplicate content and by keeping your post unique, you increase its chances of ranking higher for your keyword. If you’re not subscribed to Grammarly Premium as a blogger, then you’re missing out on a lot! The tool checks over 250 common grammar mistakes and provides suggestions on how to correct them on your article with just a few clicks of a button. CLICK HERE to read my review of the tool. As a freelance writer that specializes in providing clients with SEO-friendly content, I need tools that will make my job easier. I want to add value for my clients aside from just sending them over high-quality and top-notch content. By having this edge over other writers, I can generate more clients in the long run. I can even implement SEO on my site and blog to show that my writing works! Using these SEO writing tools above have been a blessing in my writing career. Tools like Grammarly Premium have been with me through thick and thin. But newer ones like SurferSEO and Keyword Revealer have proven to be just as valuable. I suggest that you try out these SEO writing tools on for your site and your projects. You can sign up for free to some of them to give you a taste on creating SEO-friendly content. Once you get used to creating content that ranks on top of search engines, you will eventually see the difference in your freelance writing. Thanks for reading this post about SEO writing tools. If you have questions or comments about the post, click on the “Load Comments” at the bottom and fill out the form. Also, if you enjoyed this post, then please consider filling out the form just below this paragraph to receive my latest posts straight to your inbox.